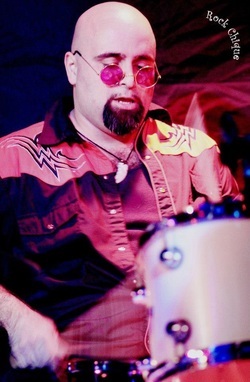 Come Meet The Band... - Deep Shades Of Purple Deep Shades Of Purple - Chicago's Deep Purple Tribute. Nickname: "Pipes", "The Velour Vapor"
Weapon of Choice: Sure SM58 "The Workhorse"
Years of Experience: Counting this week? Weapon of Choice: Fender Stratocaster, Marshall Amplification, BSM Treble Booster HS-C (Sponsored Artist). Musical Influences: Ritchie, Rory, Jimi, Stevie, Wes, Django and D-Rod. Ozzy or Dio? : Dio! Long Live Rock and Roll! 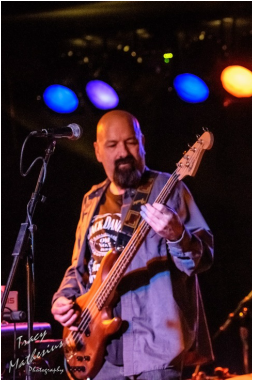 A short list of bands I've Played in: The Radicals, Vision , Nemesis, Money Penny, Take Five, Straight Up, Step-N-Out, Vinyl Highway, The Fabulous Richards, Whos Who, Comfortably Floyd. 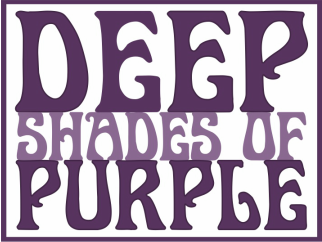 Deep Shades Of Purple- Chicago's Deep Purple Tribute.